McALLEN — After borrowing $6 million for a new fire station and parks and recreation building earlier this year through a bond, the city’s property tax rate will jump slightly. 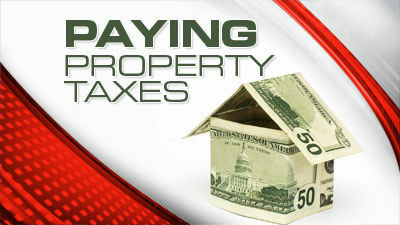 If a home costs $100,000, that resident would pay $2.90 per year, using the property tax rate of $0.4792 per $100. Last year’s property tax rate was $.04763. The new rate, if passed by commissioners in September, would go into effect in October when the next fiscal year begins. The public has been invited to two hearings to discuss this property tax rate — both public hearings will take place inside the city commission chambers at city hall on Sept. 10 and Sept. 19, both at 5 p.m. This isn’t the only increase for residents. Earlier this year, a drainage utility fee was introduced by commissioners. The fee varies depending on the size of a property and it is expected to last eight years. The fee, over eight years, would result in $11.2 million toward drainage improvement projects across the city. McAllen’s engineering department estimates the average residence in McAllen is 2,700 square feet, which would amount to a $1.50 monthly fee on residents’ utility bill. The average McAllen property’s drainage utility fee is $18 per year. City officials determined the fee for each property by taking the total square footage of impervious cover at a property, divided it by 2,700 — the average square footage of a McAllen singly-family residence — and multiplied that number by 1.50.